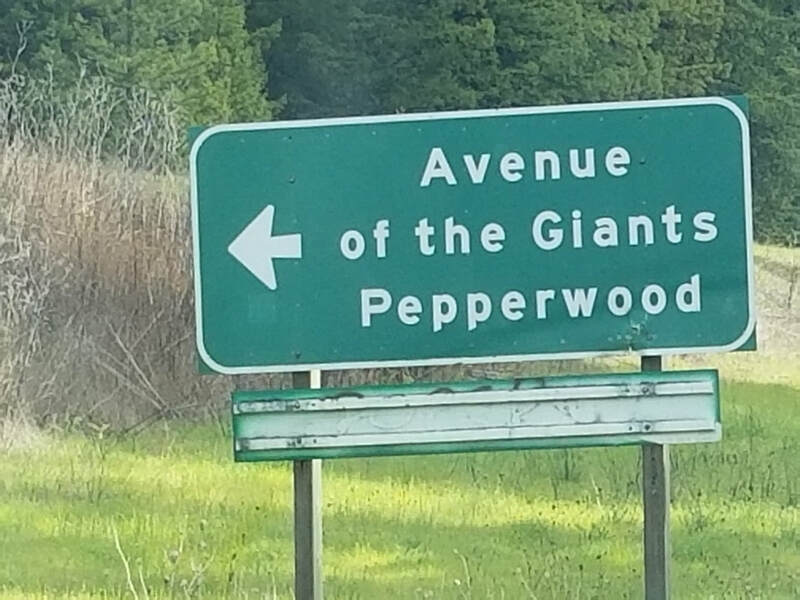 Armstrong Redwoods Preserve in Sonoma county has been a favorite destination every summer for my family so my 12 year old son is used to seeing redwoods. 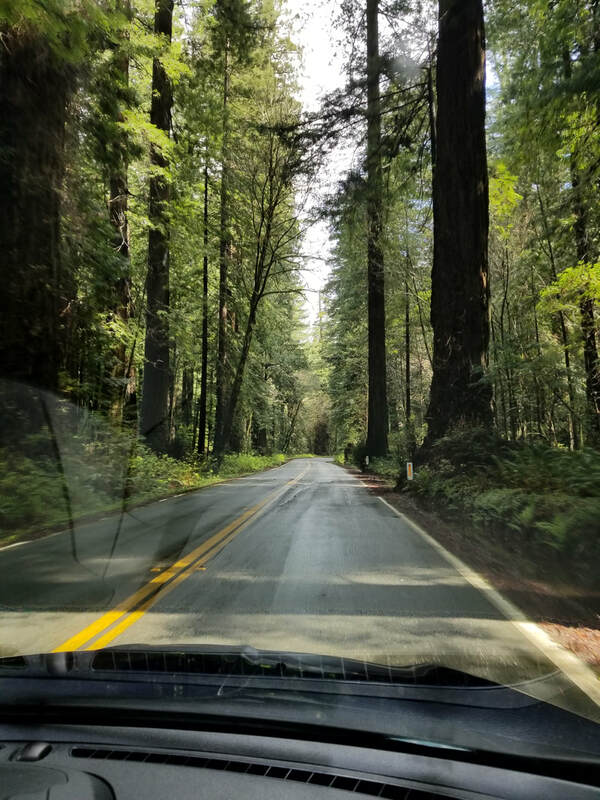 When I told him about the incredible trees in Humboldt county, he couldn't wait to see them and with that, the 1 night road old-fashioned roadtrip to see the "Big Trees" was born. ​I booked a 1 night stay online at the Holiday Inn Express & Suites located in Eureka and got a good deal by not only reserving directly on the hotel's website but also using my AAA membership and rewards account number. We started our trip in the morning, leaving the house by 9AM and made our way to the 101 Freeway headed North. Since the trip to Eureka was only going to take 4 hours, I had planned a few fun "campy" road stops along the way. 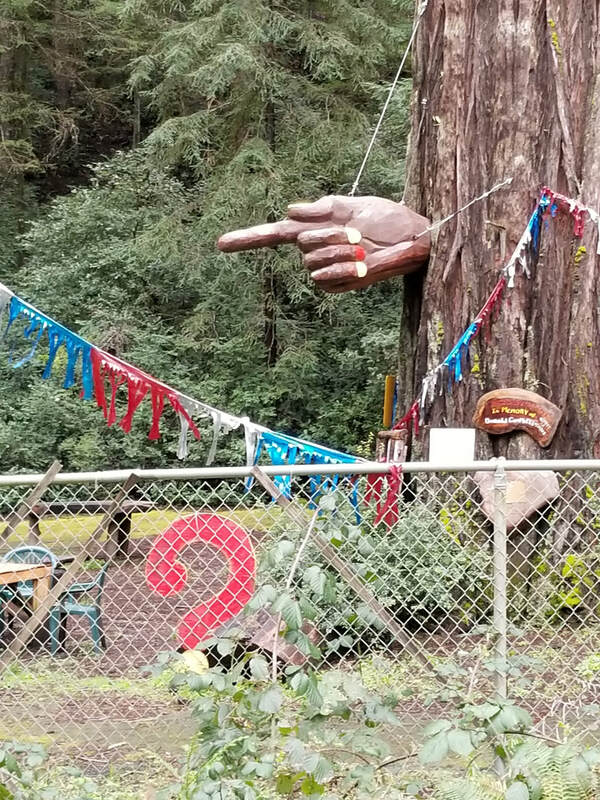 First up was the famous "Drive Thru Tree" in Leggett, which was only 2 1/2 hours into the drive. After paying the $5 entrance fee, we made our way along the path which takes you to the tree and then you, well, drive through. Fun but nerve wracking, I couldn't believe that we actually paid to almost scratch the paint on my husband's brand new car. Feel free to watch the video to the right for our experience. 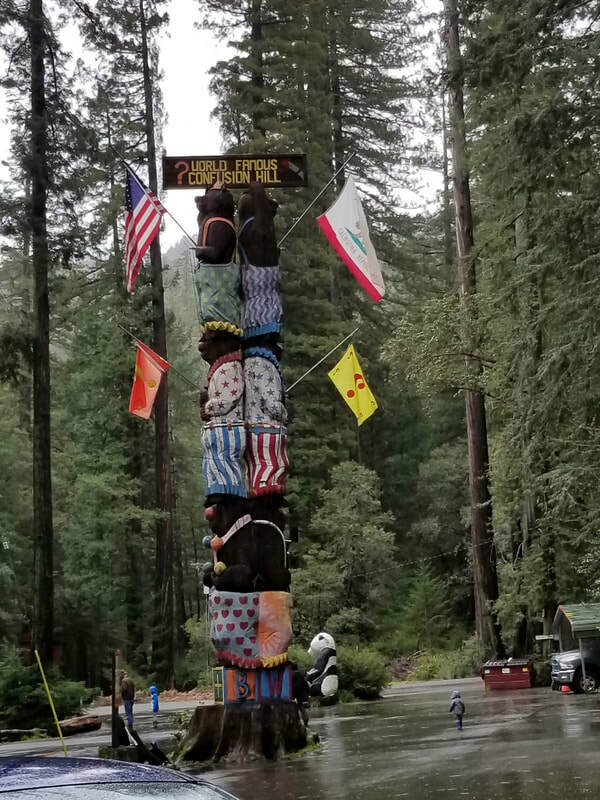 Afterwards, you can park near the gift shop and browse the typical offerings which include pencils made from a tree twig, fun t-shirts and a Big Foot key chain.​ They also have picnic tables outside and a generous grassy area for the kids to run around. 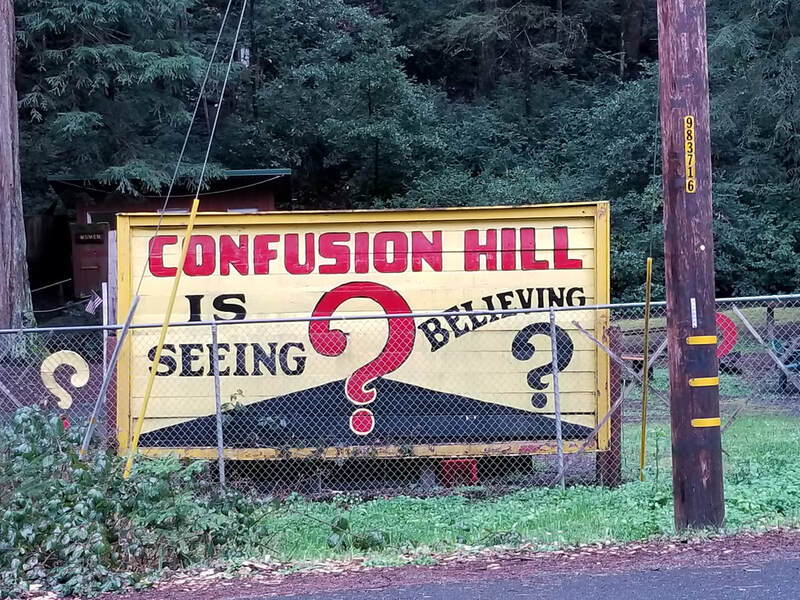 Confusion Hill was the next stop on our itinerary, 11 miles up the road from Leggett, it ended up being one of the more amusing moments on the entire trip. Built in 1949, vintage signs posted along the highway beg you to make the obligatory stop on this campy road trip. 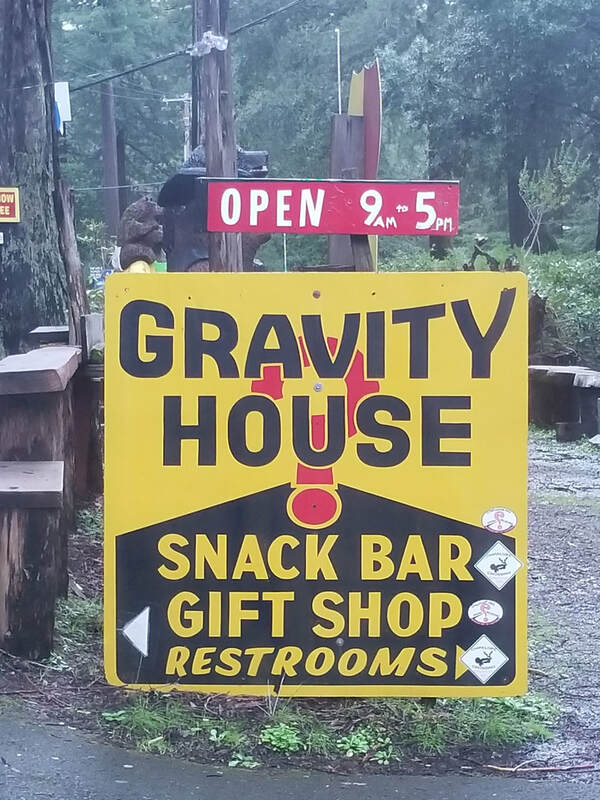 We parked, went inside the gift shop and paid a total of $14 to enter the Gravity House. 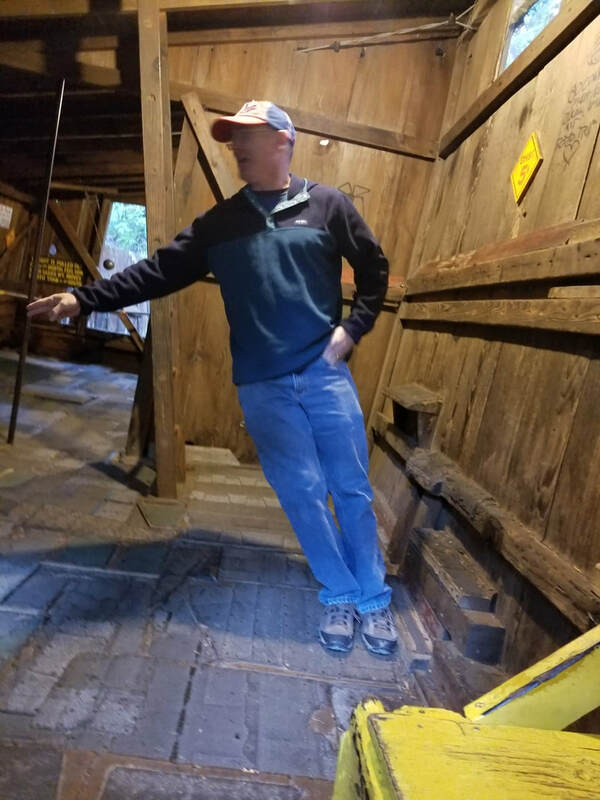 Since we were there on a rainy day, we pretty much had the place to ourselves so my two guys took the opportunity to experience the weird gravity phenomenon. After checking into our hotel, we drove to The Banana Huts in Eureka. I chose this restaurant because I thought it fit our "campy" road trip theme and it sounded like fun. 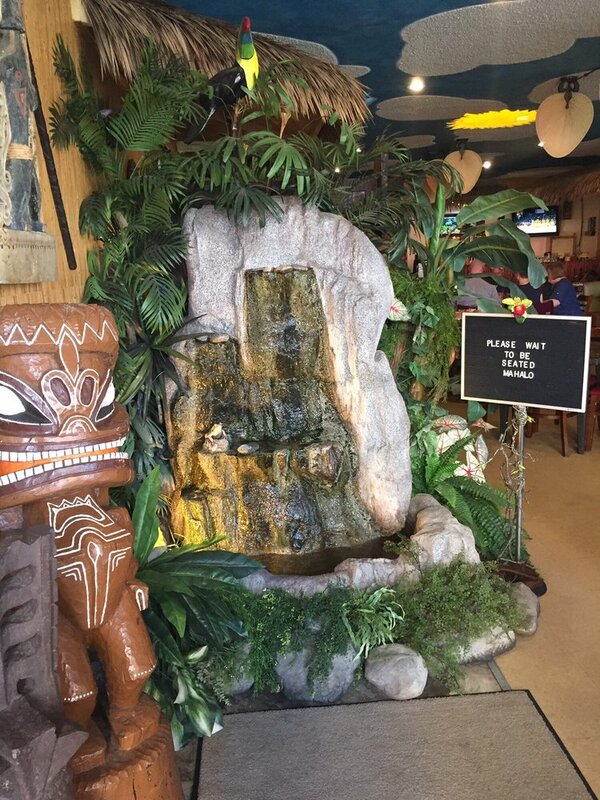 The restaurant is decorated to make you feel like you are in Hawaii the moment you walk in. We were seated within 10 minutes and ordered Lava Flow "mocktails" right away. 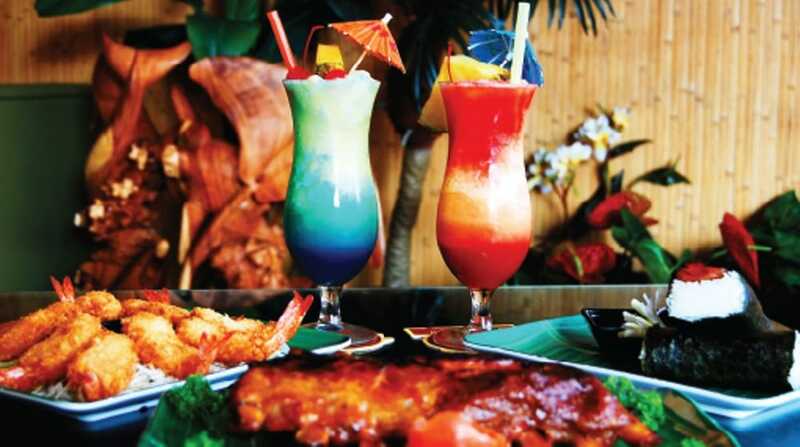 Our son loved the strawberry and coconut mixture served in the tall glass with umbrella and pineapple garnish. We all ordered something different so we could try several items. We all agreed that the pineapple gravy served over white sticky rice was amazing. After dinner we headed back to our hotel and hit the indoor swimming pool before calling it a night. The next day we slept in and then made it downstairs just in time to enjoy the complimentary breakfast buffet that came with the room package. We then packed and checked out, heading out in the rain going South on Hwy 101 towards our next stop, the charming Victorian town of Ferndale. It was quiet and since it was Sunday most of the shops weren't even open yet. 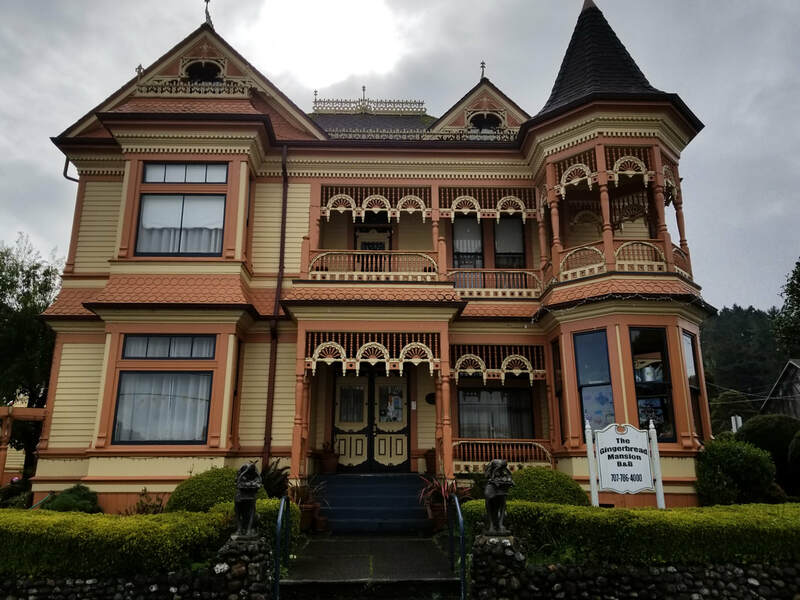 We drove around, took a few pictures of the famous Gingerbread Mansion B&B and continued onward, deciding against taking the road to see the "Lost Coast", saving it for another trip. About 7 minutes later, we made it to our next stop, Loleta Cheese Factory. Despite the fact that we had eaten a hearty breakfast not more than 1 hour prior, we couldn't help but sample all of the wonder cheese at the Loleta Cheese Factory. The staff was super helpful and didn't laugh when we oohed and aahed repeatedly after each bite of cheese. 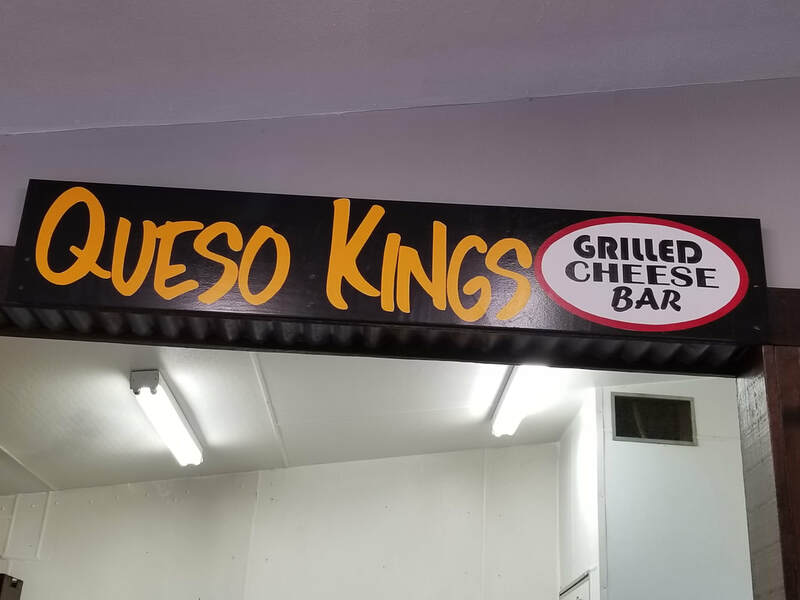 It wasn't until we walked around the corner of the shop and discovered a sign that said "Queso Kings" - a Grilled Cheese Sandwich Bar. HEAVEN! The menu was HUGE and we finaly decided on ordering just 1 sandwich, The Sweet Baby Cheesus and split it among the three of us since we were all stuffed. It was, without exaggerating, the very best grilled cheese sandwich any of us had ever had. It was so good that I tried to replicate it using the same ingredients at home later that week. 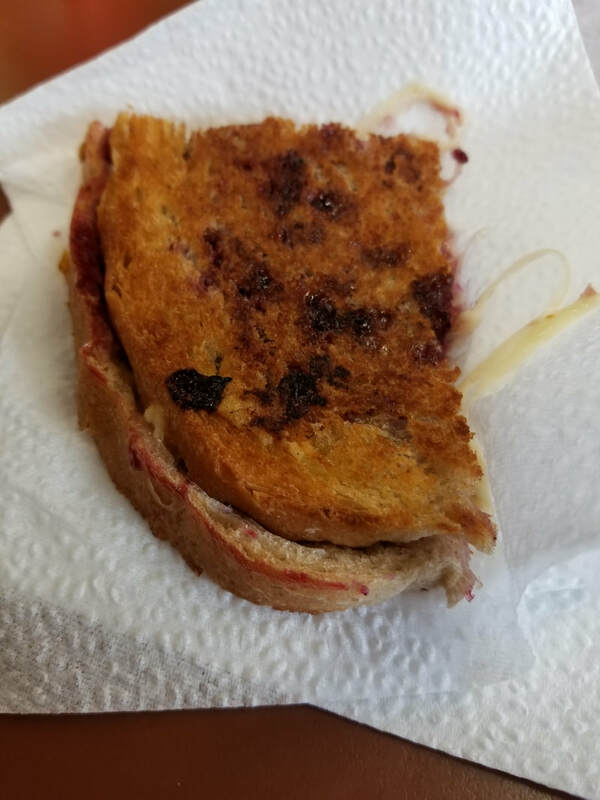 They put a combination of preserves they call "Traffic Jam" and that brings out the flavor of the cheese and it's amazing. Next visit, we're all getting our own sandwich. Seriously. Back in the car and 35 minutes later, we entered the Northern entrance of the Avenue of the Giants and marveled at the enormous trees for the next 31 miles. 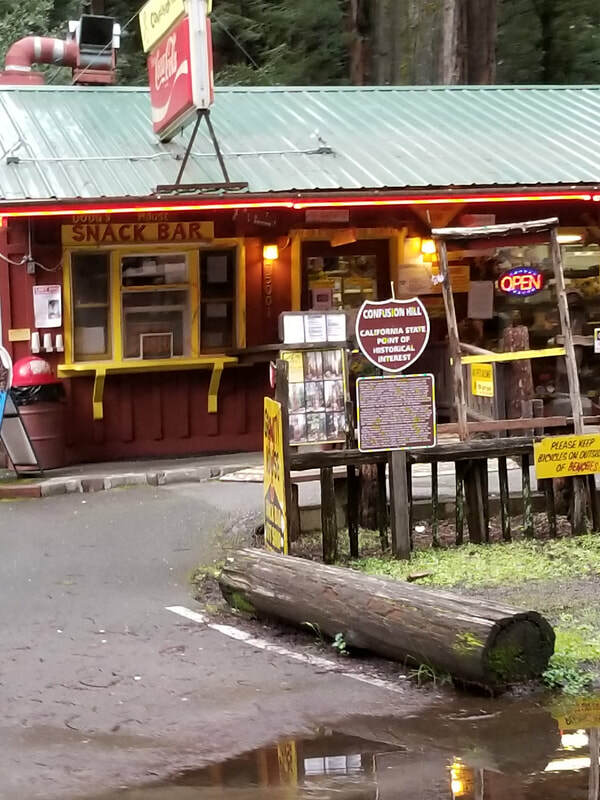 There were a few gift shops along the way that we stopped at, mostly selling Big Foot merchandise. Although we didn't actually see a Big Foot, we weren't disappointed. The trip was short but fun and was exactly what we needed to shake the dirt off our shoes and explore new areas. It inspired this blog and more road trips like it in the future. Mummies, 17 Mile Drive & Winterfest on New Year's Eve Oh My! 2. Get on the computer and start searching for a quick replacement trip hoping to find something comparable on the "fun" meter. I chose the later and boy, did we have fun! Step 1: Find a main activity for New Year's Eve within a 3-4 hour drive. I did a quick check on the computer looking at the two "local" amusement parks to see if they had any New Year's Eve festivities. I clicked on California's Great America located in Santa Clara and based on all of the photographs, I decided that this would be a really great option for my family. The event was called "Winterfest" and it was scheduled to be open from 5PM to 12:30AM. Perfect! Step 2: Find a hotel close to the park to ensure a quick drive back after midnight. My only real concern about choosing to spend New Year's Eve at Great America was what it would be like driving back to the hotel during what I consider a more dangerous time to be on the roads. After looking at several options, I decided on Homewood Suites by Hilton which was a quick 10 minute drive away, and considering staying over New Year's Eve, the price was right. More details on the hotel later in this post. We packed the car, left at 9AM and headed to our local McDonalds for breakfast, our roadtrip tradition. The drive to San Jose was a little less than 1 1/2 hours away and after breakfast, we were ready. Our first stop was at the Rosicrucian Egyptian Museum. I purchased our tickets online & printed them prior to our trip and saved about $3 using my AAA membership card, by using the code AAA. Link to purchase tickets here.​ Parking was free and the lot was located behind the museum. We took our sweaters and walked around the gardens and labyrinth, taking pictures of the outer museum before heading in. Upon entering, we gave the clerk our pre-paid tickets and headed down the stairs to the right, where the most impressive pieces of the collection are kept. In all, there are several floors to the museum, including a reading room with sofas if you want to take a little break. Our visit took about 2 hours and we saw several mummies, incredible artifacts and took the Tomb Tour which was really interesting. 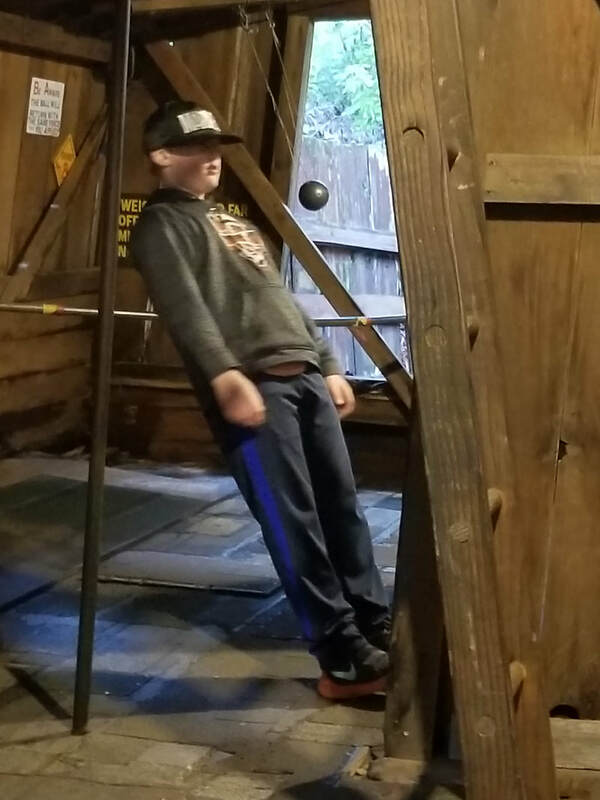 The only disappointing part of this museum was that they do not have a gift shop, something our 12 year old son was hoping to browse and pick out something fun to take home. After our visit, it was time for lunch and we headed toward Santana Row for some really good food choices. After parking, we decided on the Italian restaurant, Maggiano's, and after waiting only 15 minutes, we were seated at a cozy table. Our food server was great and we all ordered from the "Today & Tomorrow Pastas" menu - Order and eat one pasta entree, receive another to reheat and enjoy at home. Our son ordered two children meals, one to eat and one to take back to our hotel so he could have same experience. All of our meals came with a dessert and by the time we were finished, we were stuffed. Our server brought our meals to take home along with the check and we saved $10 off the bill by joining the restaurant's E-club while we were waiting for our table. We left happy and full and headed towards our hotel for the night. Homewood Suites by Hilton San Jose-Silicon Valley. We arrived at about 5:30PM and checked into our King Suite. I had requested a quiet room location and we were put in the 500 building which was all the way in the back. We parked and used a valet cart to gather our luggage and rode the elevator to our floor. Upon entering, our suite felt more like a cozy apartment than a hotel room and all three of us really enjoyed this type of accommodation. I had reserved a 2 night stay online and using my Hilton Honors membership, securing a discounted nightly rate of $134.00 usd which included a Premium King Bed Fireplace Suite with sofa bed, kitchen, daily buffet hot breakfast and a nightly reception, M-Th only. The "Premium" option included daily snacks like bottled water, soda chips, crackers etc, delivered to our room daily. Our kitchen was equipped with a refrigerator, freezer with ice maker, 2 stove top burners, dishes, silverware, pots & pans, sink with dish soap and a dishwasher. The fireplace was wood burning, not electric as I had hoped, so we opted not to use it because two of us have Asthma and wood smoke is a problem. We put our meals in the refrigerator, settled in for the night and relaxed over a family game of Monopoly at the dining table. We woke the next morning refreshed and ready to go. New Year's Eve morning, we headed down to the main lobby where the complimentary breakfast was being served from 6AM - 9AM. The breakfast was very filling and included scrambled eggs, sausage, potatoes, assorted breads, oatmeal, made to order waffles, yogurt, fruit, juice and dry cereal. After breakfast, we packed a day bag with snacks from our room and headed out for the day. Our first stop, the Pacific Grove lighthouse, was about 75 minutes drive from the hotel. We we arrived, the lighthouse was closed but we were able to get some pictures and then continue on to the 17-mile drive. We were treated to some amazing coastal vistas and beautiful homes. The cost to take the entire 17-mile drive is $10.25 and you are able to stop at any of the many beaches and spend some time. We drove the entire way and then made our way into downtown Carmel, as I wanted to see the "Storybook" Hugh Comstock cottages I've read about for years. After driving around for about 30 minutes using a rough map that I found online, we found a couple of the cottages and then decided it was time for lunch. The Tuck Box had been on my Bucket List for years and it did not disappoint. It was one of the "Storybook" cottages built by Hugh Comstock and the details were amazing. I ordered a pot of hot tea with a scone, which was delicious, and an egg salad sandwich. After eating and taking a few pictures, we headed back toward San Jose to get ready for the big evening ahead. We arrived back to our suite, changed clothes and drove a short 10 minutes to California's Great America. Tickets to the Winterfest were running $33 per person, and after researching the many different online discounts out there, I actually saved a bundle by purchasing 4 tickets on Ebay for a total of $30. I had pre-printed the tickets at home and that saved time at the entrance as we walked right in. The party was fantastic! From the decorations, food and music, it made Christmas last a little bit longer. A lot of the amusement rides were open and the park was not overly crowded so we rode quite a few. At 8PM, the park started handing out New Year's Eve party hats and blow horns following with a huge fireworks display at 9PM. We stayed until midnight and then made our way back to our hotel and slept good. Tuesday, 1/1/19: New Year's Day, we woke and ate breakfast. I put some ice in a ziploc bag and put it in the bag with our "take home" meals from Sunday night and after checking out of the hotel, headed our way home. The trip was fun and relaxed and a real bonus was having those "take home" meals from Maggiano's because we just heated them up and dinner was served. Considering this was a trip planned at the last minute, we were all really happy that we went. I've decided that we will try out more Homewood Suites in various locations on future trips and to continue looking for discounts on Ebay when it comes to tickets. My name is Gay Lynn and I am the owner of Sonoma Driving Tours located in Bodega Bay, California. I love to travel and am constantly scouring the internet to find the best deals for the next family adventure.